GBC I companies are resident in Mauritius and consequently subject to tax. However, they benefit from both tax credits and a longstop tax rate of 3%. Provided they are correctly structured and managed, GBC I companies may access Mauritius' network of tax treaties. Neither capital gains nor withholding taxes are levied. GBC I companies are governed by The Companies Act, 2001 and regulated by the Mauritius Financial Services Commission and therefore subject to compliance and reporting regimes. All companies seeking to benefit from this status are granted licenses on a case by case basis by the FSC. This procedure demands the submission of a detailed business plan and disclosure of beneficial ownership. Normally it takes about four weeks to set up a Mauritius GBC I Company. Once name approval has been obtained, consent forms signed by the Officers, copies of the Constitution, notice of the First Directors, Secretary and location of the Registered Office are submitted to the Registrar of Companies. Business Plan and compliance documents are submitted simultaneously to the FSC. A licence is required to undertake banking or insurance business or solicit funds from the public. A company incorporated in the Republic of Mauritius has the same powers as a natural person. The legislation is in English and French whilst documentation may be expressed in any language but must be accompanied by a certified English translation. Yes, must be maintained in Mauritius at the address of a licensed management company or law firm. Any name that is identical or similar to an existing company or any name that suggests the patronage of the President or the Government of Mauritius. The following names or their derivatives: assurance, bank, building society, Chamber of Commerce, chartered, co-operative, government, imperial, insurance, municipal, royal, state or trust or any name which in the opinion of the Registrar suggests the patronage of the President or the Government of Mauritius. Limited, Corporation, Incorporated, Public Limited Company, Société Anonyme, Société Anonyme à Responsabilité Limitée, Sociedad Anónima, Berhad, Proprietary, Naamloze Vennootschap, Besloten Vennootschap, Aktiengesellschaft or the relevant abbreviations. Registered shares, preference shares, redeemable shares and shares with or without voting rights. Companies pay a fixed annual licence fee of US$ 1,500 and a one-off licence application fee of US$ 500 to the Financial Services Commission. On incorporation a once-off fee of US$ 200 is payable to the Registrar of Companies. Thereafter a further US$ 200 is payable annually. Companies are resident in Mauritius for tax purposes. There is no capital gains taxation in Mauritius and there are no withholding taxes on the payment of dividends, interest or royalties from Companies. There are no stamp duties or capital taxes. Companies holding Category 1 Global Business License are liable to taxes at a rate of 15%. Provided that the Company holding a Category 1 Global Business License owns at least 5% of an underlying company, credit will be available on foreign tax paid on the income out of which the dividend was paid ("underlying foreign tax credit"). When a company not resident in Mauritius, which pays a dividend, has itself received a dividend from another company not resident in Mauritius (a "secondary dividend") of which it owns either directly or indirectly at least 5% of the share capital, such dividend will be allowable as a foreign tax credit and an underlying foreign tax credit will also be available. Mauritius has no thin capitalisation rules. Interest and royalty payments paid by Companies holding a Category 1 Global Business License are fully tax deductible in Mauritius. Tax sparing credits are available - Under this regime the effective rate of taxation in Mauritius can be reduced as a long stop provision exists whereby Companies holding Category 1 Global Business License may elect not to provide written evidence to the Commissioner showing the amount of foreign tax charged and enjoy deemed taxation at 80% of the normal rate of 15%, i.e. 12%. Thus, use of this long stop provision in isolation would reduce the effective rate of taxation in Mauritius from 15% to 3%. US$ 1,500 to the FSC. - US$ 200 to the Registrar of Companies. Audited financial statements must be filed with the Financial Services Commission. 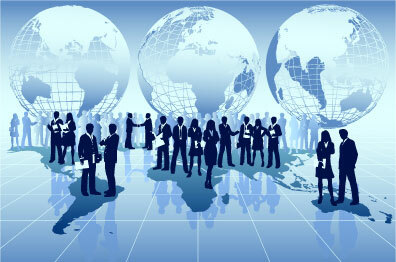 Companies holding Category 1 Global Business Licenses require a minimum of one Director who must be natural person. Treaty access requires a minimum of two local directors. A qualified resident company secretary must be appointed.